Here at Arroyo Trabuco we are eagerly awaiting the British Open. 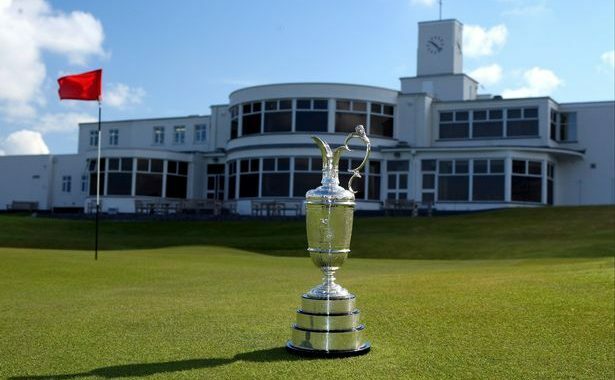 As the pros travel overseas to Royal Birkdale for the year’s third major, the name of the championship seems particularly fitting – The Open. In a year lacking a dominate player, parity has become the norm on a wide-open Tour. That’s best illustrated by the majors, where we’ve now seen eight straight first-time major champions after Brooks Koepka won the U.S. Open. Will a former champion step forward to claim the Claret Jug or will first-timers continue to break through? And if so, who? Rickie Fowler? John Rahm? Tommy Fleetwood? Hideki Matsuyama? Last year, it was Henrik Stenson’s turn after an epic duel with Phil Mickelson, who opened the tournament with a 63 and lost to Stenson’s 63 on Sunday. Conditions don’t seem so conducive for scoring this year. Blustery weather is in the forecast. Who will weather the weather and the unique tests of links golf? We’ll start to find out on Thurs. Here’s a look at the top storylines going into the week. Rookies rule right now when it comes to major championships. But rather than celebrate the depth of the Tour, the media has instead clamored for someone to seize the season. A year ago, Dustin Johnson began a run of dominance after a win at the U.S. Open that led to him being named Player of the Year. If you had to vote right now, who’d it be? Rookie John Rahm? He’s one of the few to have multiple victories and consistent strong showings on Tour. Otherwise, many of the Tour’s best have either been hampered by injuries or inconsistency. Stenson is among those having a ho-hum season. If he can get his game together, he has a chance to be the first repeat Open champion since Padraig Harrington in 2008-09. Mickelson stunned the golf world after the U.S. Open (he didn’t play because of his daughter’s graduation) when he announced the end of his relationship with long-time caddy Jim “Bones” MacKay, who was on the bag when Phil won his last major at the British in 2013. Will the change help Mickelson rediscover his winning ways? He hasn’t won any Tour event since that victory in 2013, even though he’s played some of the most consistent golf of his career. After skipping the U.S. Open, will Mickelson be rested or rusty? He’s professed a new-found love of links golf. Will it love him back again this week? Can Rickie Shake His Case Of The Sundays? Fowler was in contention on Sunday at the Masters and the U.S. Open – and never made a charge. Similarly, he failed to make a move Sunday at the Scottish Open. A few analysts criticized Fowler for overly conservative play on Sunday at the U.S. Open. Will he find the formula to finally contend and close at Royal Birkdale? At just age 28, Fowler finds himself carrying the mantle of best player to have never won a major. Will he change that at the Open or carry the title onto the PGA Championship and maybe into 2018? Sunday will be the key if Fowler contends again. Will he muster the effort to finally conquer a major? It hardly seems like an Open without a spot of weather. This year, the forecast is dry but high winds are predicted. Will that forecast favor the Europeans, who are used to these conditions, or possible a Texan (Jordan Spieth?) also accustomed to playing in the wind? 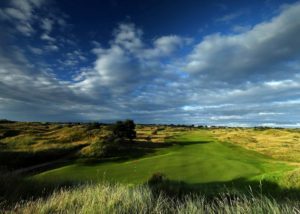 Given the usual penchant for parity that comes with the bounces and breaks of links golf, a windy forecast makes a wildcard winner seem an even more likely outcome. Heavily bearded Brit Andrew “Beef” Johnston became a cult hero during last year’s Open and a running subplot amidst the Mickelson/Stenson duel. Playing on home soil, Johnston is likely to have a sizeable and vocal gallery this week. That actually seems the only safe prediction coming into a week where the Tour and trophy are there for the taking if someone can rise to the occasion like Stenson did a year ago. As always, it’ll be great fun to watch it all start to unfold across the pond on Thurs. Posted in Golf, The Pros.